Canon EOS 1300D, Bose QC 25, Amazon Echo Dot and more go on sale today during Amazon Prime Day. Here are some of the top deals you can look forward to once the Amazon Prime Day sales begin. The Amazon Prime Day Sale, Amazon’s 36-hour shopping fiesta, begins today at 12 noon. The sale will see over 200 new products launch on the platform, alongside big discounts on tech merchandise including smartphones, cameras, speakers, media streaming devices, laptops and more. The big sale will last till midnight tomorrow so there are a plenty deals to look forward to until July 17 comes to a close. But before you get all trigger happy and start shopping, read our Prime Day shopping guide to learn how to get the biggest discounts and make the most of Amazon’s Prime Day sale. Now that you are all set to shop, here are some of the top deals you can look forward to once the Amazon Prime Day sales begin. The Amazon Echo Dot, Amazon’s smart speaker in a compact form-factor, will get a discount of Rs 2,050 during Amazon’s Prime Day sale today. The Echo Dot is generally available for Rs 4,499 in India, but during the Prime Day sale, Prime Members will be able to purchase the smart speaker at Rs 2,449 from Amazon. The Amazon Echo Dot can be used to stream music from Amazon Prime Music other streaming services, control smart home devices with voice commands, read out the news, search the web and a whole lot more. You can read about the Echo Dot and its features here. Remember, if your order the Amazon Echo Dot from the Prime Now app today, you could be eligible for a free 2-hour delivery on the product.Click here to buy. The Amazon Fire TV Stick will be available for as low as Rs 2,799, down from its current price of Rs 3,999. This is the lowest you will ever pay for Amazon's media streaming stick. Also, those who order the device from the Amazon Prime Now app will be eligible for an ultra-fast 2-hour delivery.Click here to buy. The Honor 7X also receives a discount of Rs 2,000 during the Prime Day Sale which begins at 12 noon. The Honor 7X with 4GB RAM and 64GB storage was last priced at Rs 15,999 and will now be available at Rs 13,999 during the Prime Day Sale. The smartphone’s highlight is its thin bezels and dual rear camera setup. The smartphone will be available in Gold, Black and Blue colour models. You can read more about the specs of the Honor 7X here and our review here. Shoppers should take note that the Honor 7X can be further discounted by Rs 2,000 after exchanging an old device. Prime members can also avail an additional 10% discount when using their HDFC bank credit or debit cards to make a purchase during the Prime Day sale.Click here to buy. Although the OnePlus 6 Red Edition does not get a price cut this Prime Day, it will go on sale for the first time in India on Amazon today. The OnePlus 6 Red Edition will be available for Rs 39,999 on Amazon today and buyers will be eligible for up to Rs 2,000 off after exchange. The device gets 8GB RAM and its storage maxes out at 128GB. For the Red Edition, OnePlus says that it has used a “never-done-before” technique of combining optical coating, evaporative film, and six panels of glass.Click here to buy. When they launched, the Bose QC 25 were the best noise cancelling headphones in the market. Even now, the QC25 are one of the most purchased noise cancelling headphones out there. During the Amazon Prime Day Sale, the Bose QC 25 will be available for a take-home price of Rs 12,600, down from their usual Rs 25,000 price tag. This is a great deal to grab for the Bose headphones for sure, since they are rarely discounted so much even at physical retail stores.Click here to buy. The Huawei P20 Lite launched in India back in April for Rs 19,999. The device will be discounted on Amazon Prime Day and will be available for Rs 17,999 instead, along with offers for No Cost EMIs as low as Rs 2,000 per month. The P20 Lite features a unibody design and a 5.84-inch full-HD+ screen with a 19:9 display aspect ratio. The smartphone is powered by the Kirin 659 SoC and runs on MIUI 8.0, which is based on Android 8.0 Oreo. In the camera department, it features 16MP + 2MP dual-rear sensors and on the front, it’s equipped with a 24MP sensor with f/2.0 aperture lens. The device supports face recognition and is powered by a 3000mAh battery. You can read our review of the P20 Lite here.Click here to buy. The Canon EOS 1300D, one of the best DSLRs for beginners, will receive a good discount during the Prime Day Sale today. The Canon EOS 1300D will be available for Rs 20,990 as opposed to its usual price of Rs 25,000. You can read more about the camera in our review here.Click here to buy. Amazon Prime Day brings an interesting offer if you are looking to purchase two TVs this Prime Day Sale. The TCL 55-inch 4K Smart TV offer will let buyers purchase the television for Rs 48,000, with upto 10% discount if purchased using an HDFC credit or debit card. What’s more is that buyers can get another 32-inch TCL TV with their purchase for only Re 1. So that’s literally, buy one TV get another free. This deal will be active on Amazon starting 6PM today. 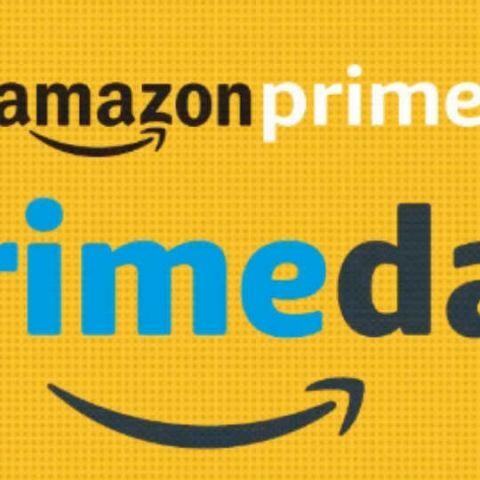 There will be plenty of more deals during the Amazon Prime Day Sale today and tomorrow. Amazon will be offering hefty discounts of up to 40 percent on smartphones and accessories, up to 50 percent on other electronics, up to Rs 40,000 on laptops, up to 50 percent off on cameras and accessories, up to 60 percent on headphones, and up to 40 percent on monitors. We will be scouring through tech deals all through the 36-hour long Prime Day Sale for you. So stay tuned to digit.in to catch the best deals and discounts on offer. Pro Prime Day Shopping TIP: Prime Members in Bengaluru, Mumbai, New Delhi and Hyderabad can expect same-day, ultra-fast 2-hour deliveries between 6am to midnight by placing orders through the Prime Now app. We suggest you download the Prime Now app if you are shopping in any of the above mentioned cities to get the satisfaction of seeing your sale goodies on the day you purchase them.